I was born in Münster, Germany, and grew up in Hamm. 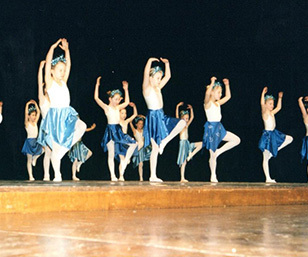 I started with Ballet when I was 8 years old, but my passion for dance was only ignited much later when I started with Rock-n-roll (a mix between dance and acrobatics). I participated in competitions; however I enjoyed the training more than the competition itself. I studied to be a goldsmith and worked as a goldsmith for a year. 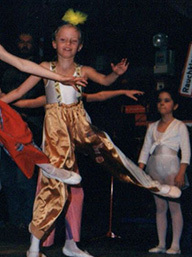 During this time, dance was a hobby for me but I knew that I wanted a career in dance. I also helped out as an assistant because I really enjoyed being involved in the studio. 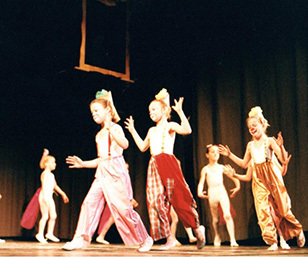 I decided to pursue my dreams of becoming a dance teacher and tried various different dance classes and styles. I went on to study at a famous dance school in Augsburg and completed seminars and courses in Zumba, West Coast swing, Salsa, business management, all the Latin & Ballroom styles and more. During this time, I also worked with people with disabilities and felt that I could relate as I have Epilepsy. This has never stopped me from achieving my goals or living a normal life – as I was even doing acrobatics in front of the Epilepsy Treatment Centre during my treatment. I completed my Apprenticeship in Augsburg in 2017, according to the guidelines set by the ADTV (Allgemeiner Deutscher Tanzlehrerverband - recognized by the WDC (World Dance Council). I met my husband, a South African, in Germany whilst he was an exchange student (many moons ago) and we got married in October 2017. We then moved to South Africa where I started searching for the right place to teach. I came across the Love of Dance Academy website and after reading Nicci’s story, decided to send her my CV. We had an interview over a few cups of coffee and I knew in my heart that this was right for me. I had five more interviews, but felt that Love of Dance Academy is the right place for me as Nicci really cares about the people she works with and her love of dance always comes first. I never thought that I would find someone who feels the same way as I do about dancing and teaching and was pleasantly surprised about the similarities between Nicci and myself. To me dancing is not about perfection, but rather about enjoyment. I have always wanted to show people who think that they can’t dance, that everything is possible if you put your mind to it. I want to build self-confidence and create an environment where people feel safe and free to express themselves. 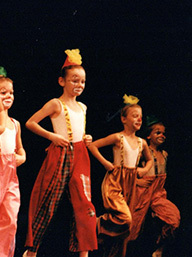 I am looking forward to doing exactly that and more at Love of Dance Academy.